From the exhibition “Tímaflóð,” this figure is located under- water to emphasis the feeling of contemplation. 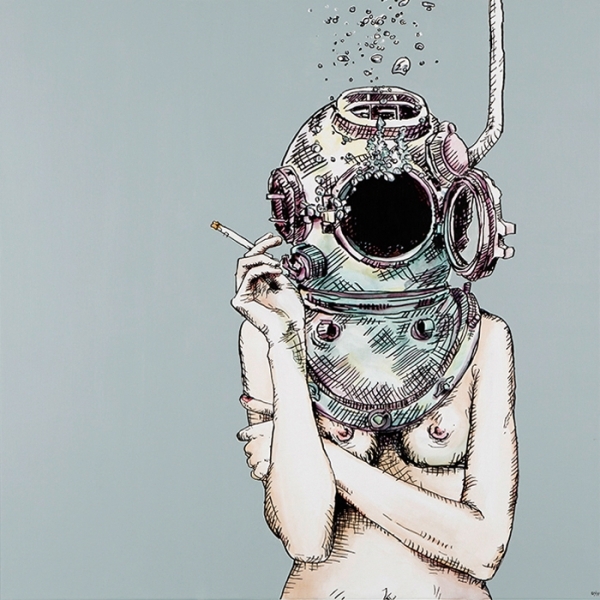 The helmet gives the viewer a sense of figure being in her own dark world lost in thought. Emphasis is put on surreal twists.